Carl Watson, a Systems Developer & Analyst at the BGS, has visited Malawi twice in six months for meetings between members of the countries spatial data community. Here he tells us how and why it's so important, where to find free data and what's in store for the future. Carl's work is on behalf of the BGS Knowledge Exchange team and BGS Global team, which is funded by the Natural Environment Research Council. The first thing that strikes you on arrival at Lilongwe international airport in January, is how green it is, Malawi is a beautiful country and even more so when there has been a bit of rain to cultivate an explosion of life. The trip involved visits to a range of government departments in Lilongwe and Blantyre, including the Ministry of Health, Ministry of Agriculture and Surveys Department. The aim of the June 2013 meetings was to investigate data modelling capacity within departments responsible for spatial data management, identify potential collaboration opportunities and promote the free to use data models published at www.earthdatamodels.org. There are a large number of projects run by government, commercial organisations and Non-Government Organisations (NGOs) in the country that involve the capture and storage of spatial data, methods vary from organisation to organisation. There is a high regard for GIS expertise in the country and plenty of well trained and keen practitioners, there is also a significant number of researchers and decision makers who are interested in finding out what spatial datasets exist within the country. Unfortunately there appear to be a large number of datasets that could have national significance but remain hidden on individual laptops, often held in spreadsheets and GIS files that are well understood by the authors but poorly documented, raising the risk of data being lost or misunderstood by future potential users. 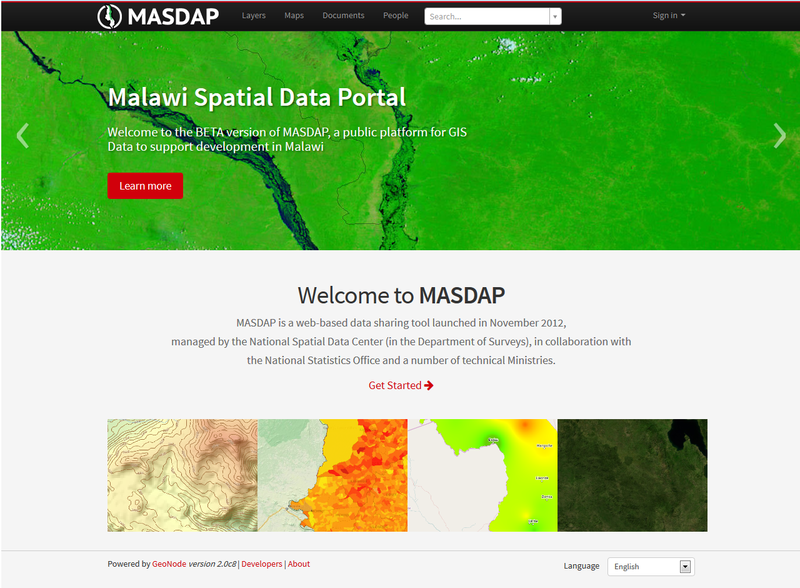 One shining example of how spatial data management could be improved in Malawi, and perhaps other low income countries, is MASDAP. This system provides an online portal for the upload, search and download of spatial datasets, its development is funded by the World Bank programme for Disaster Risk Management. The Surveys Department are in the process of creating a National Spatial Data Centre for the country, they will host and administer the MASDAP system and are in the process of developing national standards for the capture and storage of spatial data. The MASDAP system is a powerful tool for capturing and storing spatial data, however, it is only possible to capture metadata when a user is uploading a dataset. Many data owners are willing to tell others what data they possess but strongly resist ‘giving it away’. 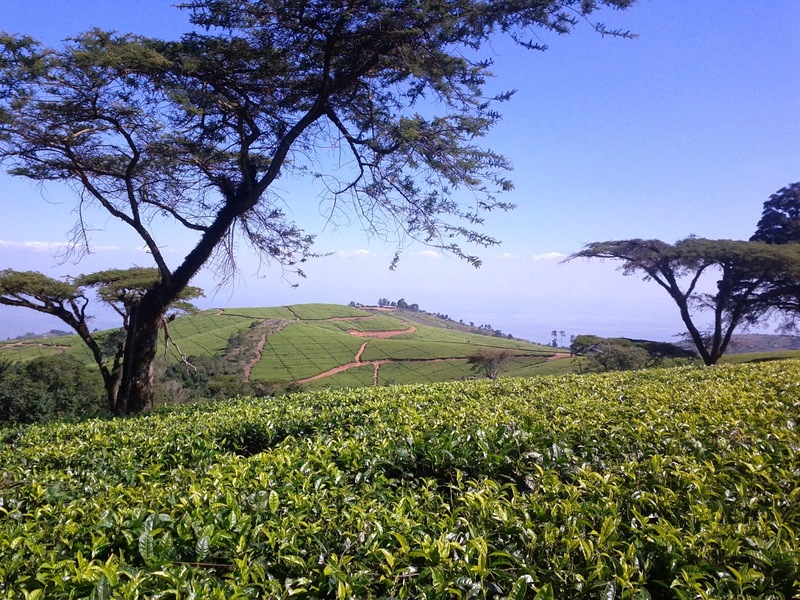 We came up with a plan to encourage the capture and use of spatial metadata through a series of changes to the existing system and by arranging data management and data modelling training in the UK and Malawi. Over the two visits we met a lot of welcoming people, in particular Alice Gwedeza at the Surveys Department and Allan Chilimba at the Ministry of Agriculture who treated us with great enthusiasm and hospitality. The concept of organising metadata for both the Ministry of Agriculture and Health was grasped as a powerful tool to inform government policy and promote academic research. Follow-on work from evaluation, training and design will focus on developing specialists at the Surveys Department who will be able to advise and forge close working relationships with other government agencies on the use and archiving of metadata. We look forward to developing stronger links between the BGS and the spatial data specialists of Malawi, the Warm Heart of Africa.